Assemblage. Varietals. Icewines. Stratus. Wildass. Tollgate. Kabang. Distinctly individual, yet all crafted to the same exacting standard. Worthy of contemplation, while remaining – always – simply enjoyable. Through its flagship wines, Stratus Red and Stratus White, Stratus is allowing wine lovers to rediscover the noble tradition of assemblage, the art of combining several grape varieties to create a single wine. We start with varietals of character because they've been allowed to age for as long as possible in French oak barrels. Then we conduct hundreds of tastings: blind tastings so that our choices are free of preconceptions. Once the initial selections are made, we work with combinations, continually re-evaluating and refining, because there is no recipe for assemblage, only a goal. 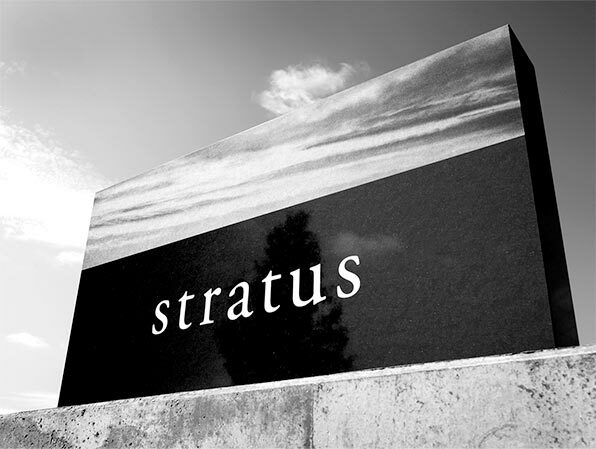 In the end, guided by taste, instinct and experience, we craft Stratus Red and Stratus White – two assemblage wines that capture the essence of a season at Stratus. To produce premium assemblage wines, you need premium varietal wines. Each year, we bottle some of these exceptional varietal wines; however, the quantity and selection made available depends entirely upon the mix of varietals used to make that year’s Stratus Red and Stratus White. As we continue to evolve our vineyard, we’ve released small lots of Petit Verdot, Sangiovese, Tempranillo and Tannat. More classic varieties including Cabernet Franc and Chardonnay are typically bottled each vintage. Whether it's a red or white assemblage, or a varietal, like Riesling, we believe in a specific style of icewine, keeping higher acidity and alcohol to balance the intensity of the natural sugars. This produces crisp, stylish icewines, distinguished in some cases by the art of assemblage and always by the unique selection of grape varieties. Based on the Bordeaux philosophy of a de-classified “second” wine, our tier of Wildass, Tollgate and Kabang wines still embody Stratus quality while providing a more moderately priced range of wines ready to enjoy today. Do not let the irreverent tone of the label deceive you – VQA-certified Wildass wines are made at Stratus Vineyards using the same exacting criteria as Stratus wines. We produce two assemblage wines (Wildass Red and Wildass White), a Wildass Rosé and a range of Wildass varietals. Wildass wines are produced in limited quantities, and are available for purchase online and at our winery. You can also purchase some of the Wildass wines at LCBO Vintages stores (where, we've found, Wildass tends to move faster than any thoroughbred). A tollgate was located long ago next to the Stratus property and its presence represented the vibrant growing commercial and agricultural activity of Upper Canada. The Stratus property has been continuously farmed for close to three centuries. Complex and welcoming assemblage wines that are made to be enjoyed in the present, Tollgate Red, White and Chardonnay are exclusively distributed to on-premise accounts, primarily restaurants, throughout Ontario. Like our signature assemblage wines, Tollgate Red and White are crafted using a careful selection of barrel-aged Stratus varietals. Wines from Stratus under the Kabang label live up to their name with explosive, bright and hefty flavours that are suited to casual sipping and high-energy occasions. The Stratus identity and the labels for our Stratus, Wildass, Tollgate and Kabang wines were created by internationally acclaimed designer Michael Vanderbyl. 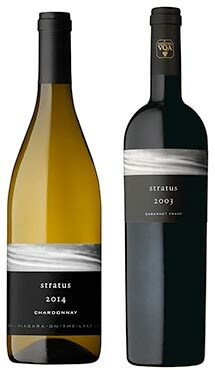 Our wines with Stratus on the label all feature a horizon-spanning image of the clouds that gave our vineyard its name. Duotone printing captures the full play of light and shadow across the clouds’ surface, and the range of shades reflects the breadth of our wines and the layered soils from which they were grown.